The responses and critique however were largely aimed at shooting down the idea and touched less on what we as designers are doing about the huge amount of resources that go into the industry we are all part of. Was this a missed opportunity for a wider conversation about our role in this? 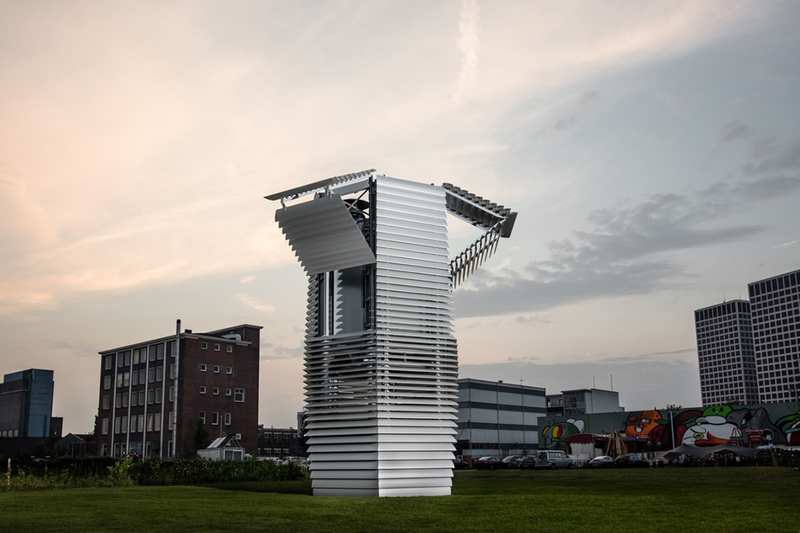 Roosegaarde has far-reaching ambitions for the tower, which is part of his Smog-Free Project. ‘It’s not only intended to be a local solution that creates clean parks or playgrounds,’ he explains. ‘It’s also a sensory experience of a clean future, a place where people can experience clean air.’ He hopes to bring together governments, NGOs, the clean tech industry and ordinary citizens. This made me think of another project, somewhat more familiar in medium, which I think is ‘participating’ and pushing this conversation further. 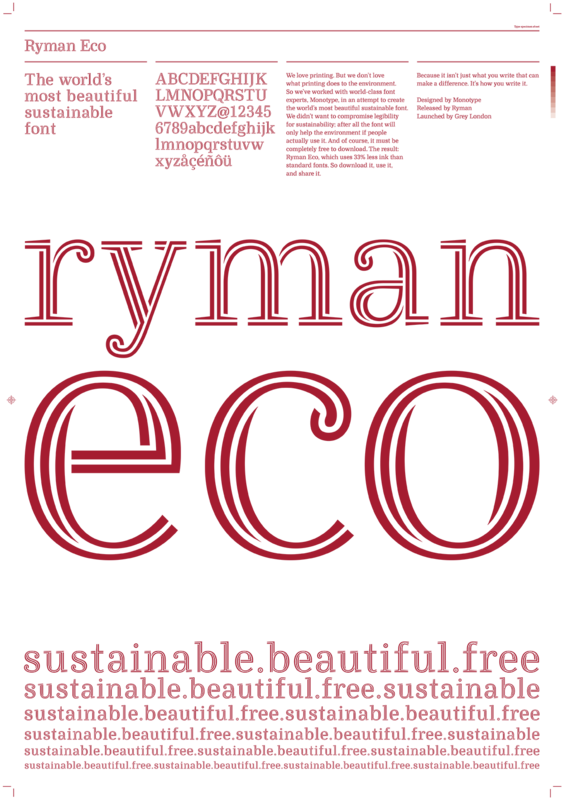 Ryman Eco is an ‘unfinished font’, or as I like to think, a font which finishes itself. It is a font which uses ink-spread — the bleeding of ink on the page which occurs with common ink jet printing — to create a full form. Meaning the characters don’t need to be a solid, filled forms, and therefore use 33% less ink. I don’t expect using 33% less ink to save the world directly, but I expect it to be one step in a bigger conversation about how we can save things, I expect it to be one gesture that triggers you to think about what else you can do to make an impact. The examples of Roosegaarde and Rhatigan suggest that the the answers we’re looking for might not come from easy fixes that make for good media stories. The people that will be at the forefront of this conversation and this change, will be people with the dedication and perseverance to understand complex scenarios and attempt informed interventions, at their level. Some, like Roosegaarde and Rhatigan, will stir this conversation with provocations which are extraordinary examples of what design can do, whether it is fine engineering or craft or thinking with hope and ingenuity around today’s problems. Solutions that make people sit up and ask, like the audience member at the end of Roosegaarde’s talk, ‘but shouldn’t we be getting to the root of the air problem.’ Yes, exactly! This is not to suggest that we can’t or shouldn’t play our part—quite the opposite—more voices are needed. Many of the answers, as we already know, are actually simple. The point now is, who is participating in the conversation? This post was first published on Codesign blog.